Address (FanMail) Mail Mann, Inc.
Danai was born on Valentines Day in a well-civilized Zimbabwean family as her mother Josephine Gurira is a university librarian, and father Roger Gurira is a lecturer in the Department of Chemistry at the University of Wisconsin–Platteville. She went to the United States for her higher studies. She has earned a Bachelor of Arts in psychology and Master of Fine Arts in acting. She loved writing plays and inspiring women through her writings of who a strong woman is. Danai made her first appearance on television show- Law & Order: Criminal Intent playing the role of Marei Rosa Rumbidzai. Her marvelous endeavors in the play won her an Obie Award, a Helen Hayes Award, and an Outer Critics Circle Award for Best Lead Actress. Her incredible performance in the film titled her with Best Supporting Actress in Method Fest Independent Film Festival Award, and she also got two more nominations in Boston Society of Film Critics Award and Gotham Awards, for Best Cast and Best Ensemble Cast. She is a fitness freak and loves doing swimming and different exercises to maintain her physique. Apart from theatre and films, she has also taught playwriting and acting in Liberia, Zimbabwe, and South Africa. After her remarkable appearance in The Visitor, she got back to back roles in films viz Ghost Town, 3 Backyards, My Soul to Take, and Restless City. In 2008, she appeared at the Global Green Sustainable Design Awards and read a letter over there written by a New Orleans native displaced by Hurricane Katrina. She was honored with Black Reel Award for Best Actress for the movie Mother of George and was also nominated for two other awards- one at Black Reel Award for Best Breakthrough Performance and the other at American Black Film Festival for Best Actress. She loves working for the society and in 2011, she co-founded an organization named “Almasi Arts Inc.,” which aims at providing arts education in Zimbabwe. Later, she became the Executive Artistic Director of this group. Danai has been working in an American post-apocalyptic horror television series- The Walking Dead as Michonne since 2012, which has helped her in achieving a lot of fame worldwide. Despite doing horror show, she is scared of watching horror scenes and avoids watching them. Her success was not only limited to theatre, films, TV shows and teaching, but she also rocked as a voice-over artist in the 2015 film- Tinker Bell and the Legend of the NeverBeast voicing character Fury. She penned down the play titled “Eclipsed” which became the first play to premiere on Broadway with an all-female, and black cast and crew team. 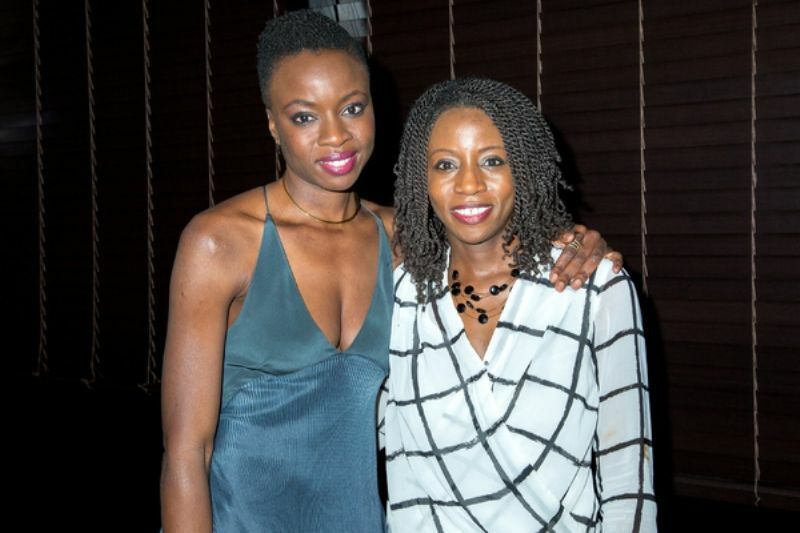 It portrayed the story of five Liberian women and their story of survival near the end of the Second Liberian Civil War featuring Saycon Sengbloh, Lupita Nyong’o, Akosua Busia, Zainab Jah, and Pascale Armand. She wrote the play Familiar in 2015, which was inspired by her mom’s family. She founded the non-profit organization “Love Our Girls,” primarily focusing on the issues and challenges affecting women throughout the world. Danai also joined hands with Johnson & Johnson in 2016, in a fight against HIV/AIDS. In 2017, her cast as Afeni Shakur in an American biographical drama film- All Eyez on Me was appreciated highly by the viewers. She has been featured in a very energetic and bold look, in an American superhero film- Avengers: Infinity War as Oyoke. As Danai is a multilingual personality, she is fluent in four languages- French, Shona, basic Xhosa, and English. She has been nominated for around 12 awards in different award shows and has won around 14 awards till 2017.